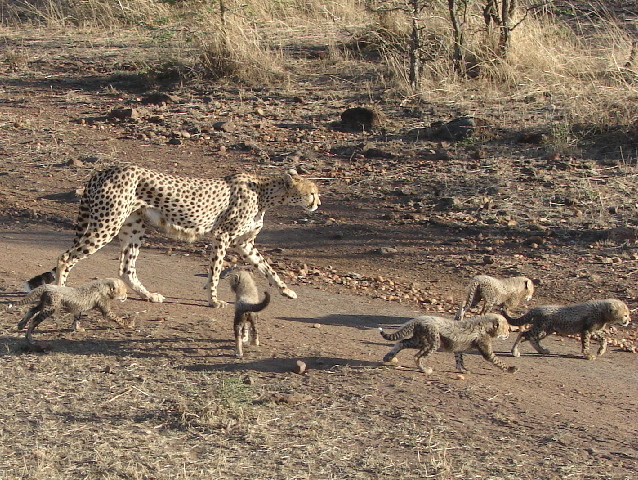 We saw this Cheetah and six cubs on most of our six days safari. Usually they were in the bushes. Once we saw the mother stalking impala, sprinting out at them, but giving up after 50 yards. In this photo, we saw them out in the open, and they came right by our vehicle. There are only fifty cheetahs in the Masai Mara, so we are very glad we saw them.